Have you booked your wedding venue yet? How soon do you think you should book the venue for your wedding? Six months? Twelve months? Do you know that wedding planners advise you should book at least 18 months before your wedding date? If that has shocked you we’ll tell you why. If you have your eye on a venue that every other bride wants to book then it is likely that it will be booked up way in advance. Also if you are particular about the day you want to get married then your venue of choice might not be able to accommodate you. Booking early undoubtedly saves you money as venues like to have bookings in advance. By booking early you are likely to have much more choice than if you leave it later on in the year, and therefore you will probably get the venue you really want. It is true that certain months of the year are very popular with brides and grooms. Typically, June through to August tend to be booked up first but you should also realise that September to October are pretty busy as well. December can also be a hectic month for venues but not because of weddings, this is for the festive season so keep in mind you’ll be competing against all those Christmas parties. Until you have nailed down where and when you are getting married, everything is in limbo. You can’t book the caterers, the flowers, the band or the DJ. Sure you can talk to photographers or sample several canapes or wedding cakes but you are stumped until you have the venue signed and the contract in your hands. It makes sense to get this one thing sorted first of all then you can get on with doing everything else. Typically people choose a certain style of venue that will suit their overall wedding. So you might want a cosy pub setting or a posh hotel or a country estate. Whatever you decide upon all the other wedding paraphernalia will be matched to that. The flowers, the cake, the linen and even the food. The venue will dictate what follows on so it is important to book your chosen one quickly. 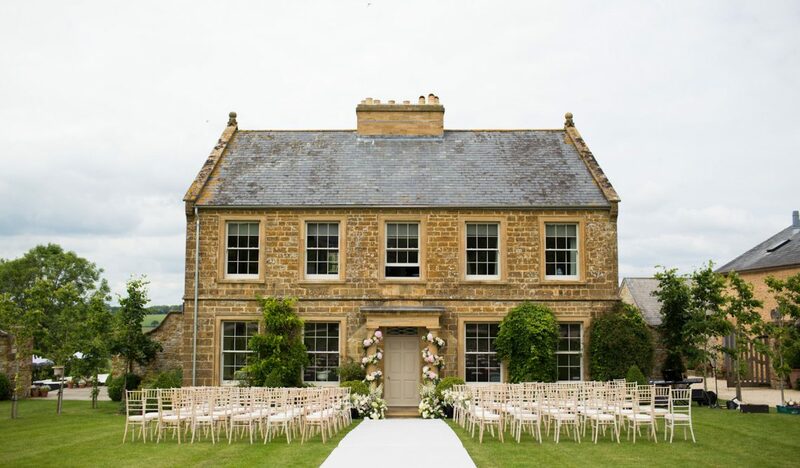 By booking the venue early you have ticked off a major item on your wedding list of to-do things that also allows you to get on with many other items on your list such as arranging furniture hire and choosing the perfect dress. It is probably the most important part of the wedding plan and yet many brides focus on the dress or the food before ever considering it. Get ahead of them all and book the venue of your dreams and enjoy your big day!